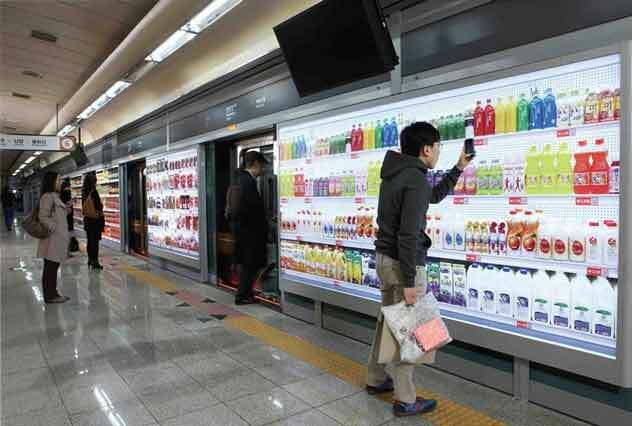 The store is at an underground subway station in Seolleung, located in the south of Seoul, South Korea, a city of 10 million people. It takes up seven pillars in the stations and six walls. On it are life size pictures of items in a real store. Next to each item is a small barcode, actually a QR code. 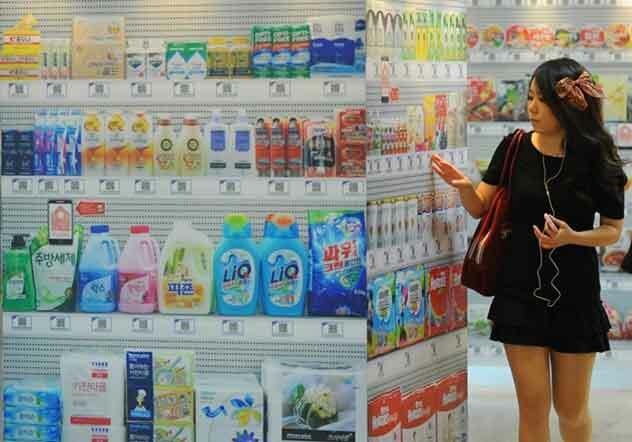 Shoppers use their smartphone and a downloadable app to scan and make purchases. The order is then sent to the store closest to the shoppers home and a delivery truck completes the order. Dropping off a box of groceries at your front door. it’s very similar to shopping on Amazon or using Peapod, but represents one of the first successful physical stores for an online service. Taken from Amusing Planet, where they also have a video introducing the concept.